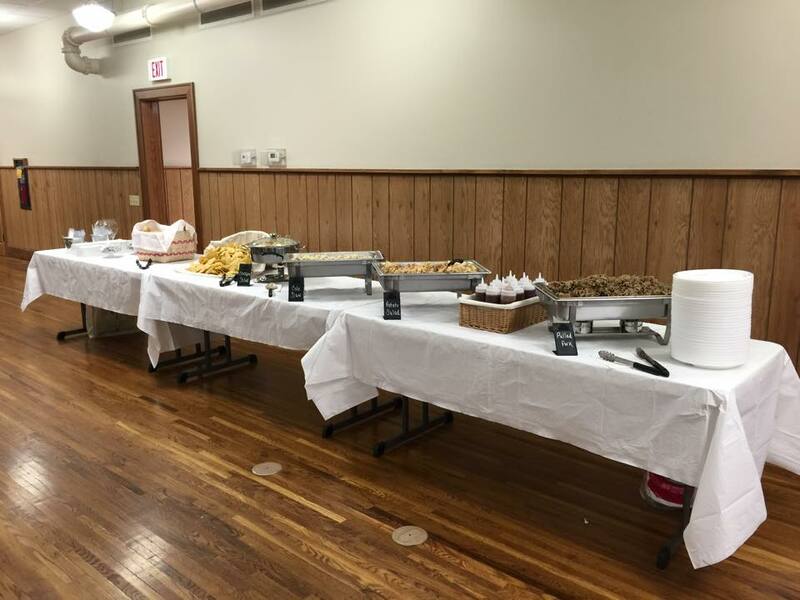 April 2015 - Knife of the Party Catering Co.
Did you know that we offer lunch delivery? Give us 24 hours notice and we can deliver a freshly prepared lunch to your business! 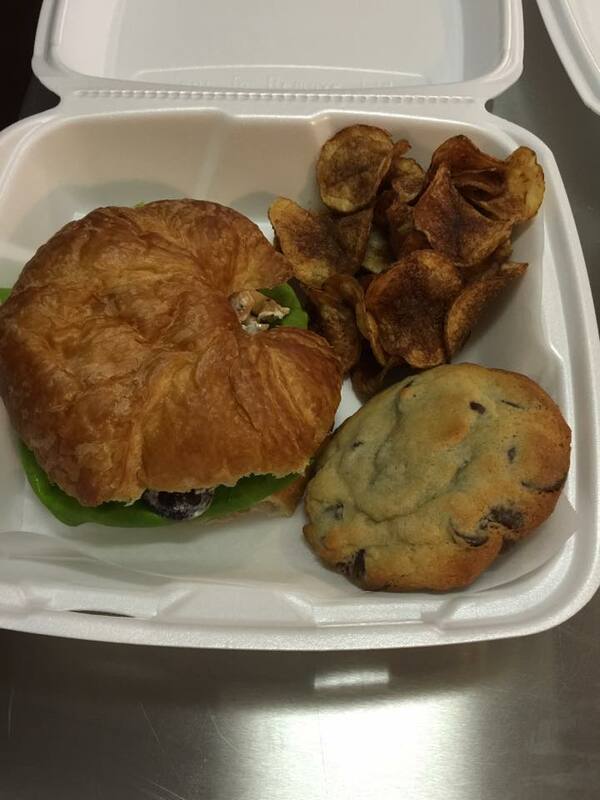 Today’s selections included: Fresh made Pecan Chicken Salad on Croissant, House Made Sea Salt Potato Chips and a delicious, made from scratch, Chocolate Chip Cookie. Free delivery on orders of 10 or more (within 15 mile radius). We were delighted to prepare the Post-Race Celebration meal for the Yamacraw 50k/10k Runners and Volunteers, sponsored by the McCreary County Chamber of Commerce. Folks enjoyed our Pulled Pork with Bourbon Brown Sugar BBQ sauce, cole slaw, potato salad, rolls (and for the Vegetarians in attendance, Chickpea Salad w/ Gluten Free Tortilla Chips).